As you'll see on our website, we transform school spaces, but did you know we also provide customizable everyday wall displays? We produce interactive, usable information panels that are a quick and easily adaptable solution to display your information. They are neat and tidy, and can be easily customized with your school colours, values and logo. These can be used in your corridors to display children’s artwork, in reception spaces for parents information panels or teachers who's who boards, to hall and communal spaces where the schools values or house point system can be prominently displayed and updated as required. 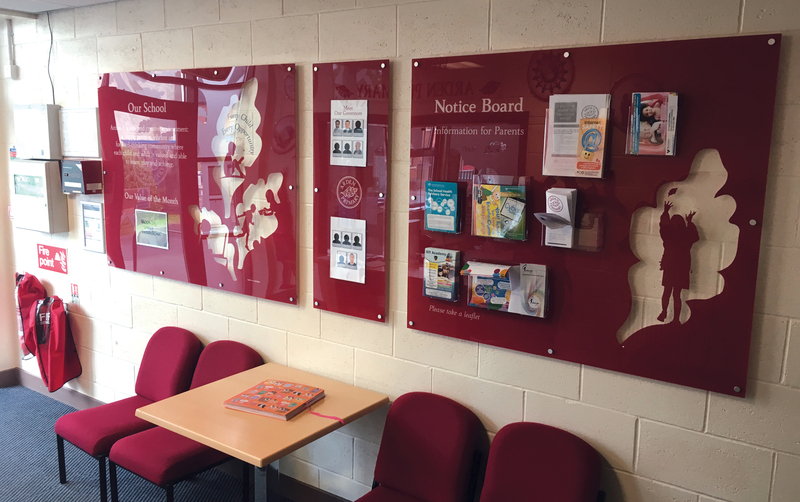 We only use high quality materials and create our displays using a variety of sized clip frames, window posterFix holders, acrylic poster pockets and leaflet holders. Our bespoke graphics are printed to the reverse of the acrylic boards making them easy to wipe clean.